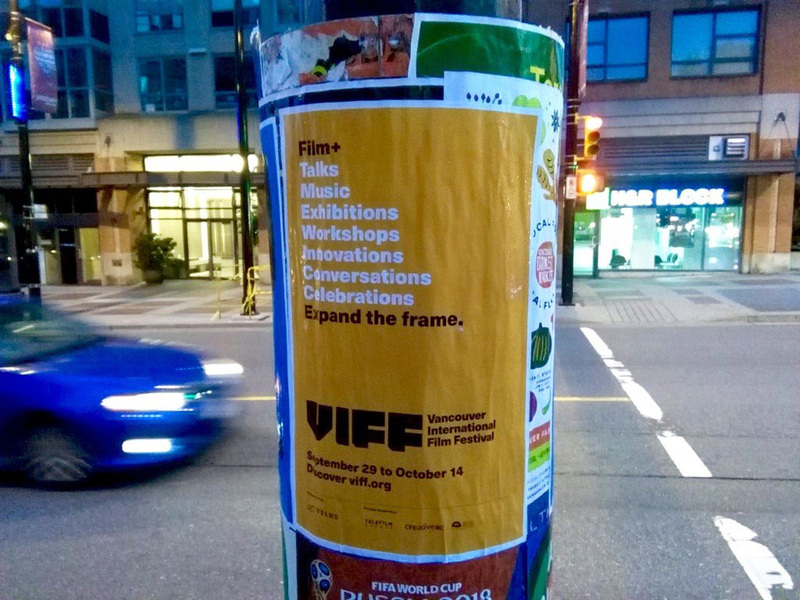 First celebrated in 1982, the Vancouver International Film Festival (VIFF) is among the five largest film festivals in North America, screening films from more than 70 countries on nine screens, including one of the biggest showcases of Canadian film and one of the largest selections of East Asian films. 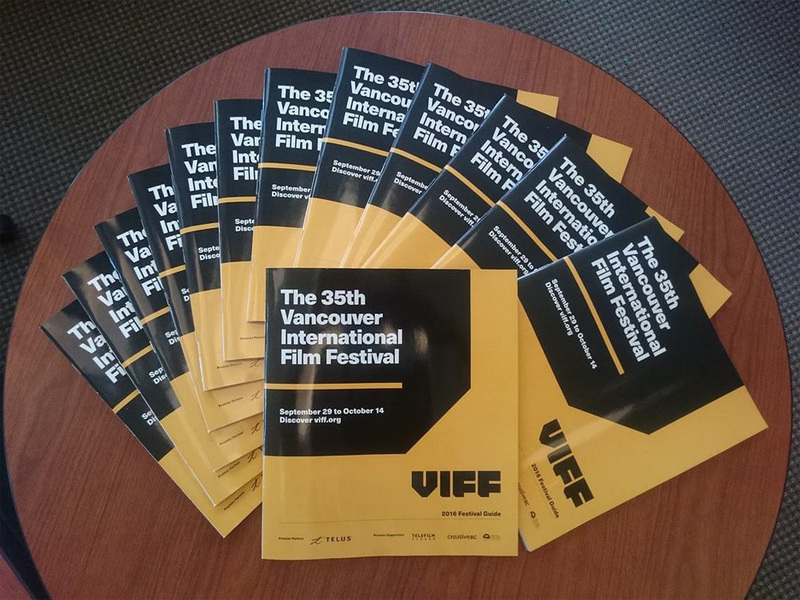 The festival is run by The Greater Vancouver International Film Festival Society, a not-for-profit cultural organization that also manages the fancy Vancity Theatre. 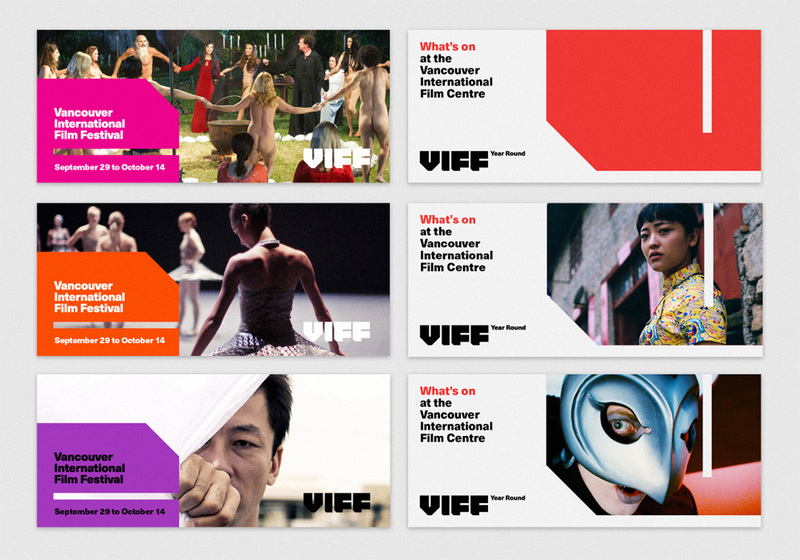 Along with a restructuring of its programming, VIFF introduced a new logo and identity designed by Vancouver-based Cause+Affect to kick-off the 2016 festival that will start later this month. Without the eye, the old logo would have been passable as a forgettable wordmark but since that’s a big “without”, it was a pretty terrible main graphic to hang your hat on. Poorly executed and creepy AF. Perhaps the one thing it had going for it was that it had a camera shutter in the pupil so it read as “camera”. 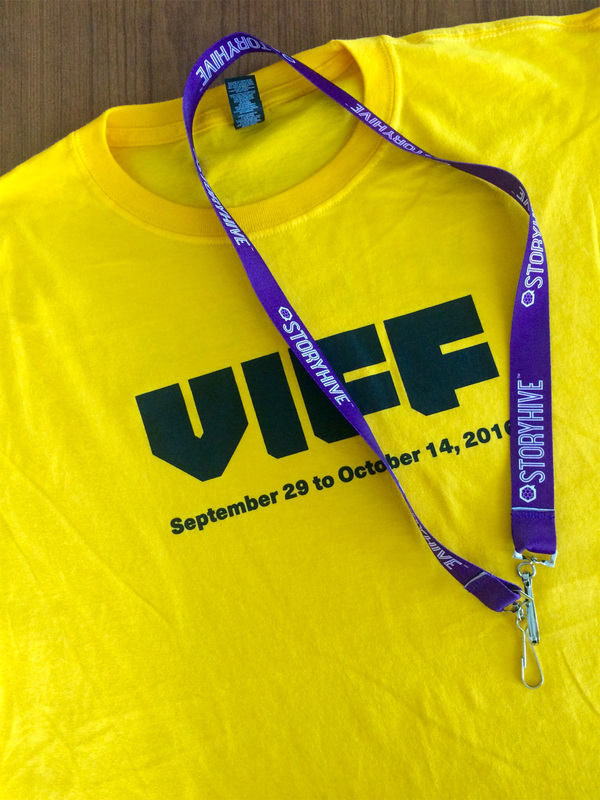 The new logo builds on the VIFF acronym to deliver a Brutalist wordmark that is bold and has high impact. 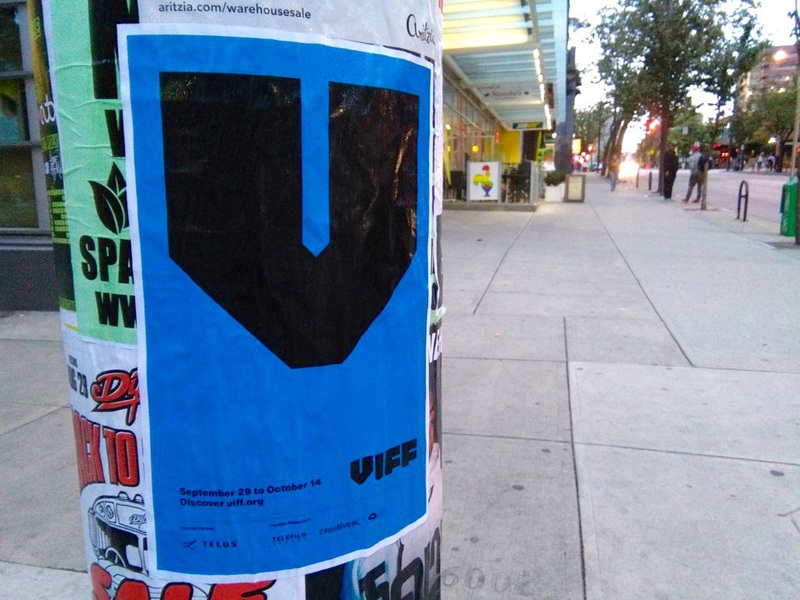 I like it because of its ballsyness to just be as big and chunky and angular as it wants to be but I don’t like that it doesn’t even try to hint at film or Vancouver, which is not a huge deal but, change the “V”, and this could be for absolutely any other International Film Festival. Execution-wise it’s okay, kinda hard to screw it up although I feel there is a lack of consistency in the thicknesses of the few vertical and horizontal strokes there are, not to mention the cut angle of the “I” that is shorter than the ones on the “F”s. Still, on first impression, the impact is undeniable. The wordmark is paired with the full name typeset in Neue Haas Unica, which looks perfectly fine and works solidly in the identity. The identity relies on a blocky graphic element that echoes the shapes of the wordmark and uses it as the main graphic device for almost every application. It’s fine but it gets repetitive and given the modularity of the wordmark it seems like you could create a dozen different amorphous shapes to play with in the layouts instead of the same one over and over just rotated 90 degrees at a time. 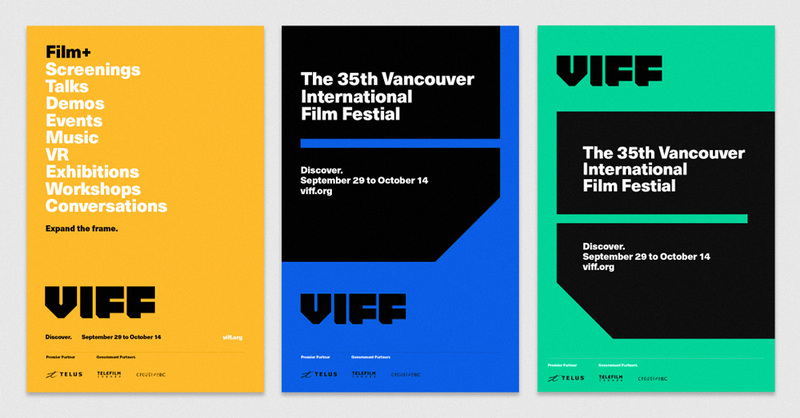 The mint, blue, yellow, and black color palette works quite well in the posters, making them look both serious and vibrant. Press conference images. Video of it here (you can glimpse a few applications). The applications almost reach an International Typographic Style which makes them attractive at first glance but needed just one more round of finessing to make them really outstanding. Some motion work. Logo animation at the end. As a bonus, there is some motion work that gives some fluidity to the otherwise heavy shapes; nothing too exciting but engaging enough. 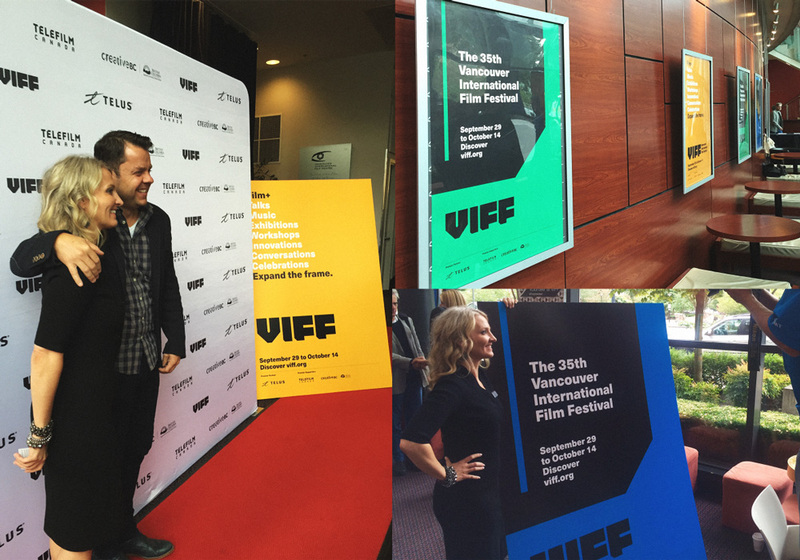 Overall, the change was definitely needed and this gives the festival a much more contemporary and daring aesthetic that feels more in tune with the tone of festival films and establishes a stronger personality for VIFF. Thanks to Daniel Domachowski for the tip.